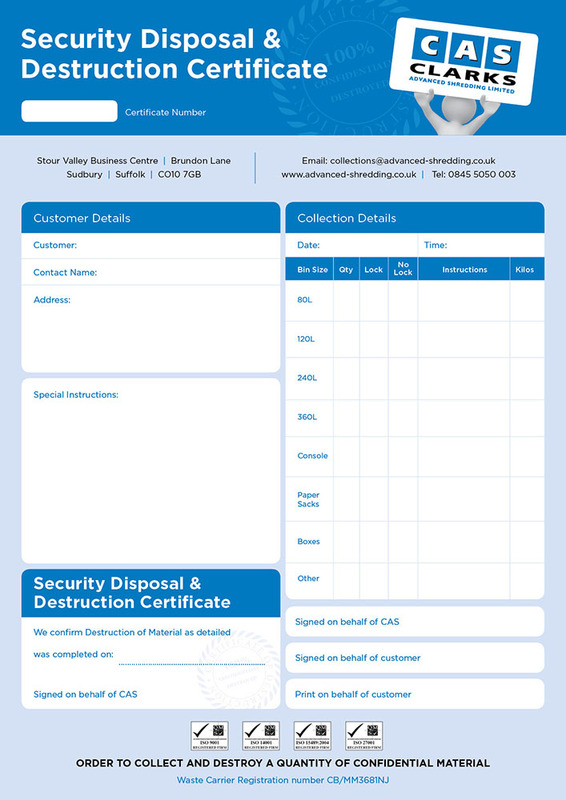 We provide you with a certificate of destruction when we shred your confidential waste. This guarantees that the data destruction process has been secure, confidential and complete. We like our customers to benefit from all of our expert services. If you shred at least 50 kilos a month with us, we can offer you a free assessment and consultation on your archive storage. Our experts will come to your offices, carry out a detailed assessment and by the end of it we guarantee we will find you an extra 10% more floor space. We are experts in file management and we would like to share with you our years of experience and knowledge. If you are a 50 Kilo + a month shredding customer, give us a call today for your free archive storage consultation. Our number is 0845 50 50 003.